Prime Minister Malcolm Turnbull is now holding talks with five key cross-bench MPs in a last ditch effort to hold on to government following Saturday’s destabilising double-dissolution election outcome. Whilst the resumption of counting of ballot papers, particularly of postal votes, by the Australian Electoral Commission won’t happen until Tuesday, Mr Turnbull has said he remains confident of being able to govern, however, some experts are saying that a hung parliament is likely. Whatever the outcome, the national swing against the government and resultant deadlock is not good for business. There’s nothing that the markets dislike more than uncertainty. 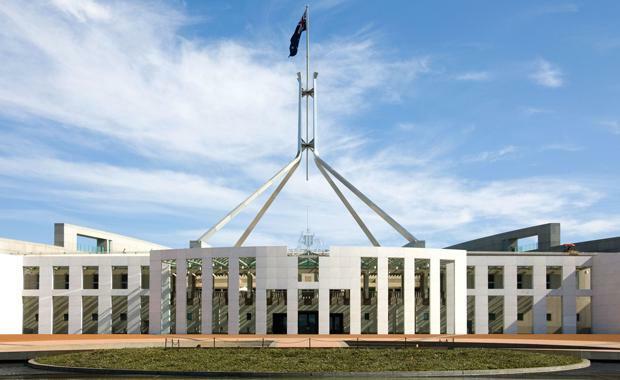 The Property Council of Australia said if the Coalition were to form a government, it is highly unlikely that they would have sufficient numbers in a joint sitting of parliament to restore the Australian Building and Construction Commission (ABCC), one of the triggers for the double dissolution election. Clearly there is a big risk that the new Parliament will be unstable and that whoever forms government will be unable to pursue a substantive policy agenda. “Business never likes uncertainty, but we accept that it is the voters’ prerogative to choose the parliament that best reflects their hopes and aspirations. This result is a reflection of the people’s will and it has to be accepted as that,” said Ken Morrison, Chief Executive of the Property Council. “Our hope is that we end up with a workable Parliament that can deliver the stable government that Australia needs. The property industry will work with whatever party forms government and the rest of the Parliament. “Our message to both sides is learn the lessons from 2010. Make no deals that sacrifice Australia’s long-term economic interests. “Neither party should think this result gives them a ‘three-year leave pass’ from economic reform. Australia needs policies that generate the prosperity and jobs that our country needs. Three in four Australians live in our cities and Australia needs a serious policy agenda that is about making our cities more liveable and our housing more affordable. "The property industry accounts for one ninth of national GDP and employs over 1.1 million Australians, more than mining and manufacturing combined." said in The Australian Financial Review that "Crossbench chaos would be a disaster for the country. ""The property sector will remain a massive contributor to our economy and it needs encouragement by strong government nurturing that economy. "As long as instability continues, business confidence, vital for the industry, would wane. ""Australia's continued AAA credit rating and investment in infrastructure needs to be the focus of the new government. "For some the prospect of the reigniting of debate and speculation on the future of negative gearing and the Capital Gains Tax discount would also be just as destabilising for investors. Rich Harvey chief executive officer of PropertyBuyer.com.au told Your Property Investment that the fact that the market is set to continue speculating about the future of the tax breaks is exactly the opposite of what he hoped for. “I would hope that we don’t have an election where it’s so close that things drag out and we have this drawn-out period before we get a result,” Harvey told Your Investment Property before voting opened. James Pearson, CEO of the Australian Chamber of Commerce and Industry, said:“With four out of every five Australians in the workforce employed in the private sector, it is vital to maintain business confidence with policies and language that encourage investment and job creation by business, large and small. “Whichever major party forms government, they will need to build a constructive relationship with the crossbench to get things done. This takes goodwill on all sides. The business community is ready to play its part in contributing to the development of sound policies. We cannot afford three more years of policy gridlock. “I believe the re-introduction of the Australian Building and Construction Commission is still a critical policy. It was a sound trigger for the double dissolution. It remains a sensible measure to put a tough cop on the beat in one of Australia’s most important industries.